We’re delighted to announce our presence on the European tour of Swedish legendary Melodic Death Metal masters TheCrownOfficial! 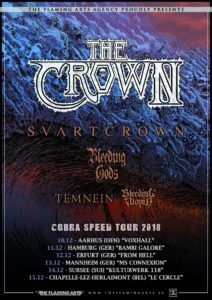 They have always been an influence for us so we’re very glad to support them in their tour promoting their new critically acclaimed album “Cobra Speed Venom”! Three amazing bands are joining the tour: SVART CROWN, Bleeding Gods and Bleeding Utopia! Can’t wait to hit the road next December with this killer package! RUSSIAN TOUR SUPPORTING AT THE GATES! 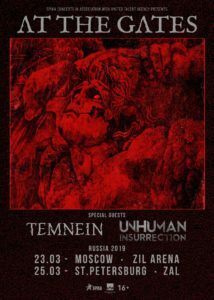 We’ll support the legendary At The Gates in March 2019 for two shows in Russia! It’s an honour and a great accomplishment to open for one of our major inspirations! This will be our first appearance in Russia, we’re so delighted to play there and discover this beautiful country! UnHuman Insurrection from Italy will join us on this tour. We’re pleased to announce that we signed a worldwide management & booking deal with The Flaming Arts Agency! We are joining their amazing roster: Behemot, Venom Inc, I Am Morbid, Marduk, Hate, The Crown, Illdispoded, Share Empire and many more! Europe we’ll see you before the end of the year! Stay tuned for many tour dates announcements! “WHITE STAINED INFERNO” OUT NOW!! 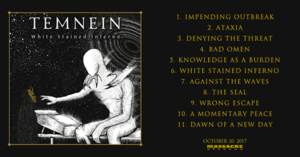 The wait is over: our new album “White Stained Inferno” is finally out! On the list below you’ll find all the links to stream and buy the album! We’d love to have your feedback on it! We’re very happy to finally unveil a new song from our upcoming album: “Denying the Threat” on this lyric video! “White Stained Inferno” will be out on October 20th via MASSACRE RECORDS. This album was produced by Frederic “El Mobo” Motte at Conkrete Studio. All artworks by Ibay Arifin Suradi. Lyrics video made by our bassist Julien! 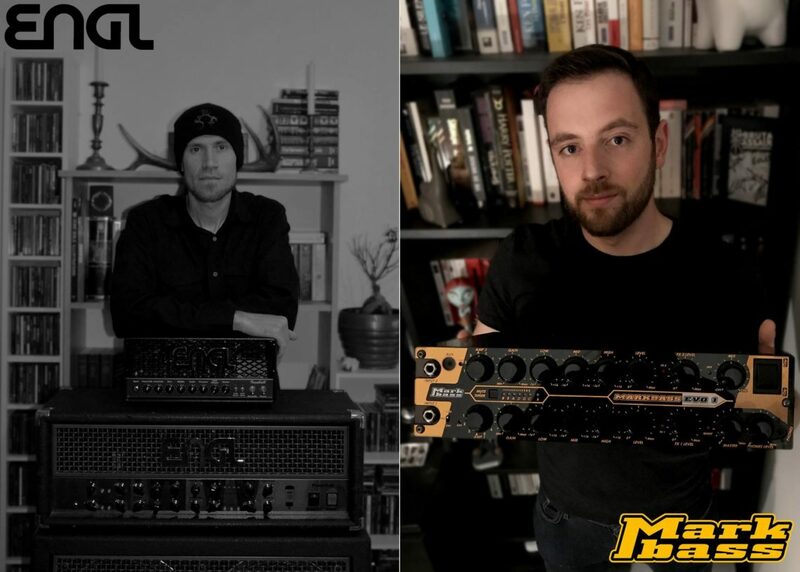 We’re very proud to announce our first endorsements: Markbass for Julien and ENGL for Florian! It’s a very special moment in a musician’s life to be trusted by these great companies which will follow us on the road for the promotion of our new album “White Stained Inferno” and much more! We have many great news coming up in the next days, stay tuned! Our new album “White Stained Inferno” will be out worldwide on October 20th via MASSACRE RECORDS. We are are proud to show you the artwork, done by Ibay Arifin Suradi (Gojira, Year of no light, pg.lost …) and the tracklist! We’re delighted to announce that we signed with Massacre Records for a worldwide release of our second album called “White Stained Inferno“! The album will be released in late October. Expect something more atmospheric and darker than “404 B.C.”. Further details are coming in the next weeks, so stay tuned! 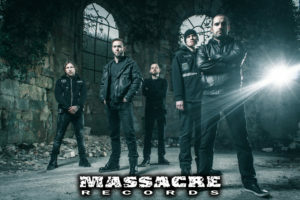 Based in Germany, Massacre Records has released many successful records since 1991, including albums from King Diamond, Legion of the Damned, Crematory, Theatre of Tragedy, Eisregen, Darkane, Hatesphere, Illdisposed and many more! We’re very happy to enter into their roster and we’re looking forward to a great collaboration!